Interesting facts: Several breeds have a small amount of webbing between their toes but the Catahoula’s webbing extends nearly to the end of each toe. The breed was developed in the marshy areas of Louisiana, and the webbing makes this dog a quick swimmer. The Catahoula is also the State Dog of Louisiana. Appearance: Developed for ability rather than looks, there are some variations in appearance. They are typically short-haired with a long tail and drop ear. They are best known for a blue/gray base coat with black- or liver-colored spots, tan face and legs, and white chest and toes. They are always spotted, but can have just about any coat color pattern. They often have two different-colored eyes. Personality: The Catahoula Leopard Dog is intelligent and energetic. He loves his people and is gentle with younger children so can be a great addition to a family. However, the breed is protective and wary of strangers, which may cause problems in a home with many visitors. This protective trait is often not seen until the dog matures, at about age two. Socializing a Catahoula as a puppy is important, but he will still likely be uncomfortable with strangers. To be a balanced pup, the Catahoula needs lots of interaction and mental and physical stimulation. 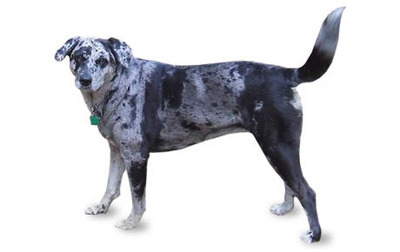 If the Catahoula Leopard Dog is not herding or hunting, activities for which the breed was created, she should have plenty of other work to do. Agility or nose work are good alternatives, as well as plenty of play and a daily hour-long walk or run. Without sufficient exercise this dog will likely exhibit undesirable behaviors such as excessive chewing, barking or digging. Common Health Problems: Typically a healthy breed, hip dysplasia and deafness are the most common health issues seen. 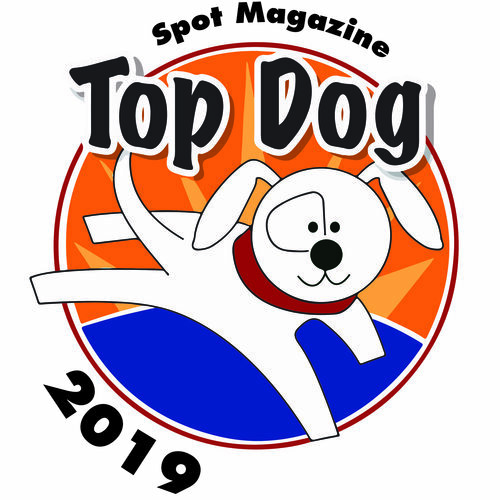 Best Match: A Catahoula pet parent should be dog experienced and consistent with training. One who considers him/herself a pushover with dogs will probably not enjoy having a Catahoula, as this dog’s independent and assertive nature may overwhelm. The best match for this breed is an active person who lives in a rural area or who is often outdoors with the dog. Featured Adoptable: Barnie is a young Catahoula mix described as sweet and sensitive. At just a year old, he’s at the perfect age to get off on the right paw with training and behavior work, and to give his family many years of devoted love and companionship. Barnie is currently staying with the folks at Marion County Dog Shelter, 3550 Aumsville Hwy SE in Salem. The shelter is open Tues-Sat, 10-5. For more info or to meet Barnie, call the shelter at 503-588-5366. 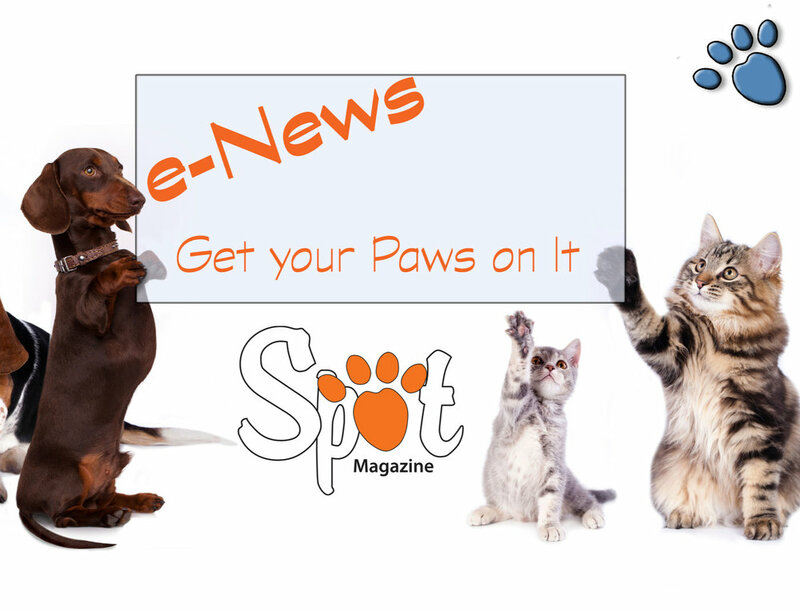 Posted in Matchmaker and tagged with Breed Spotlight, Dogs.